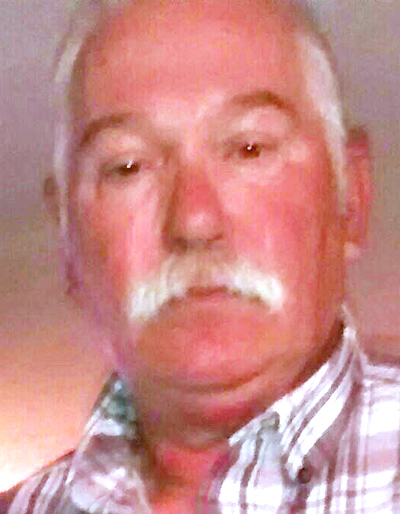 Robert Lee Gardner Sr., 65, of Decatur Township, McClure, went home to our Lord at 9:53 a.m., Thursday, Aug. 2, 2018, at Geisinger-Lewistown Hospital. Born Nov. 22, 1952, in Lewistown, he was a son of the late Glenn and Mary (McMillan) Gardner. In addition to his parents, he was preceded in death by: his first wife, Deborah (Wilson) Gardner; a brother, Todd Gardner; and an infant sister. Bob is survived by: his wife, Tonya “Toni” (Sweitzer) Gardner, whom he married on Oct. 13, 1995; children, Tammy Thomas and husband, Dwayne, Heather Knepp and husband, Donald, and Robert Gardner Jr. and wife, Darlene; stepchildren, Michael Mohr and companion, Nikki Brannon, Rebecca Hannon and Laura Owens and companion, Brett Price; 12 grandchildren: Maranda, Jessica, Cassandra, Delilah, Harley, Courtney, Caleb, Deborah, Kiley, Zachary, Joan Ann and Desirae; great-grandchildren: Leighton, Brynn, Shane and Baby Leo on the way; siblings: Selinda Knepp, Glenn Gardner Jr. and Lori Brininger; and many nieces and nephews. Bob graduated from West Snyder High School, Class of 1970. He was employed as a long distance truck driver throughout his life and retired from ACPI, where he jockeyed trucks. Bob enjoyed riding his motorcycle, camping, family time and sitting on his front porch drinking coffee and watching deer, turkey and the bunnies playing. It is rumored that he made the best hot dogs and homemade ice cream ever! Bob also loved his little dog and best friend, Annie. He was a wonderful husband, father, grandfather, uncle and friend. We will all miss you, Bob, and we love you. You are in my heart until I see you again – Toni. A private graveside service at Juniata Memorial Park will be held at the convenience of the family. Heller-Hoenstine Funeral Homes, Woodlawn, 200 N. Main St., Lewistown, is in charge of arrangements.